Two new exhibitions at The Customs House are celebrating drawing in all its forms. Former curator Esen Kaya has returned to The Port of Tyne Gallery to curate Drawing Close, which runs until Friday 30th March 2018. It features work by Newcastle-based artist Sabina Sallis in the Main Gallery and internationally-recognised textile artist Paddy Killer in the Upper Fusion Gallery. Drawing is the bedrock of Sabina’s art practice, which also encompasses video, installation, performance, painting, photography and objects. 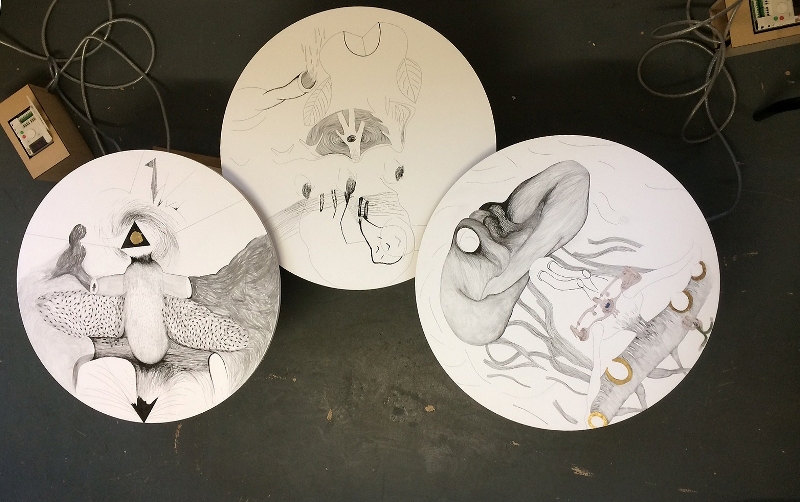 Her exhibition at The Customs House is inspired by the Voynich manuscript, an illustrated 15th century codex hand-written in an unknown writing system, thought to have been composed in Northern Italy during the Italian Renaissance. She will be hosting a free artist talk and brunch on Sunday 26th November. Drawing Close forms part of the regional DRAWING programme, which aims to explore the role of drawing in art, culture and the every day. Exhibitions and events are taking place across the North East from November 2017 to January 2018 asking: Does Drawing Matter?